If your job requires kneeling a lot or if you play sports that involve diving to the ground, then knee pads may be exactly what you need to protect your knees from pain and injury. Knee pads provide cushioning protection that comfortably protects the knee joint from impact against the ground. It also helps reduce the pressure from long hours of kneeling. 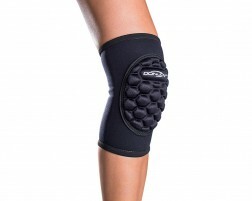 Our knee pads provide maximum cushioning protection, comfort, and compression. Looking for a unique and extra-cushioned knee pad? 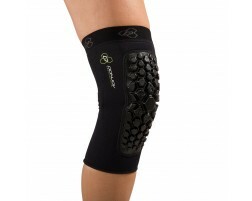 Our bracing experts recommend the DonJoy Spider Knee Pad. 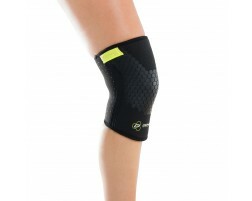 The cushioning in this knee pad comes in a honeycomb design, which maximizes the amount of padding you receive. It's also known as one of our best volleyball knee pads because it protects without being bulky or uncomfortable. You may also benefit from knee pads if you participate in activities such as skateboarding, roller skating, hockey, lacrosse or any sports that involve falling or contact.